Different types of metal offer certain advantages over other types, depending on your purpose. We utilize top-quality steel to construct a metal building that will perfectly suit your needs and budget, while offering a variety of customizations to create a structure that is truly unique. We offer both tubular and red iron steel metal buildings in Charlotte NC. 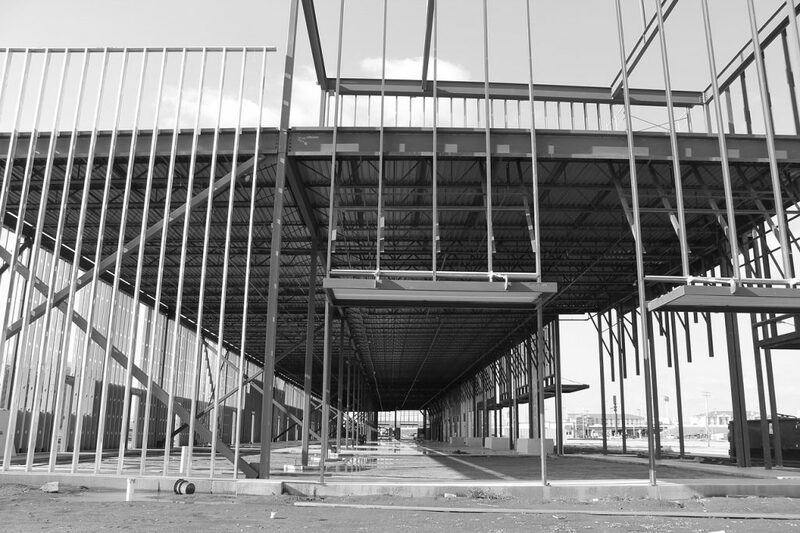 Read on to learn about the differences between each of these main structural framing materials. Tubular steel buildings are perfect for smaller structures such as outdoor workshops, carports, metal garages and storage sheds. Lightweight, yet durable, tube steel metal buildings are a wonderful and economical alternative to classic wooden buildings. Red iron steel is most commonly used in larger metal building applications such as commercial and industrial storage spaces, barns, and even aircraft hangars! Using red iron steel for larger structures helps to keep costs down, while offering a high level of strength and durability. And we use the good stuff–commercial grade from one of the best pre engineered steel building manufacturers in all of Charlotte, North Carolina. While typically reserved for larger projects, you can build any building with red iron steel. We would be happy to help you decide on the best material suited to your individual needs. To get started on your metal building in Charlotte, give us a call at 980-365-6583, or fill out the form on this page to begin the estimation process! Steel is lightweight, yet durable and very strong. When you choose tubular or red iron steel for your metal building project, you can rest assured the finished product is going to last you a long time. This also allows for extreme versatility when it comes to the purpose of your structure, which is why metal is such a popular choice for a wide variety of building applications. In addition to being versatile and strong, steel is easily recycled, resulting in zero waste for your metal building construction. You can have confidence knowing you’re choosing a materials that’s safe for the environment. Because steel contains recycled materials, it can be recycled over and over to create the same high-quality material used in metal building projects. Due to its strength and durability, steel offers an affordable alternative to many other standard construction materials. Whether you’re in the market for a metal garage or a metal office building, this is one investment you can feel confident will bring you a return. That makes it an economical choice both now and long-term. Steel sheeting and tubing is easy to manufacture, process, and shape, making it the ideal material for a variety of metal building shapes and configurations. Tubular and red iron steel buildings exist for many different purposes, from small metal garages and carports to larger applications such as steel barns, offices, and even aviation hangars! Steel buildings are easy to expand and reconfigure from one location to another, meaning your structure can be easily disassembled and moved if you ever change locations. Red iron steel is coated with iron oxide, which creates a barrier that prevents water from coming into contact with it. This is what gives the metal its unique red color and allows it to resist rusting over many years. Steel is also naturally non-combustible, and therefore, fire-resistant. This is especially important for storage buildings where volatile items may be kept, as a decreased risk of fire can help reduce insurance costs. Finally, unlike typical wooden structures, metal buildings are able to resist decay from wood-destroying insects. Imagine living in a custom-built home and never having to worry about destruction from termites! With our steel buildings, this can quickly and easily become your reality. We offer many different color customizations and add-ons to suit your needs. To learn more and discuss customizing your steel building, give us a call at (980) 365-6583 or fill out the form on this page! Call us today for information on steel building prices in Charlotte NC!